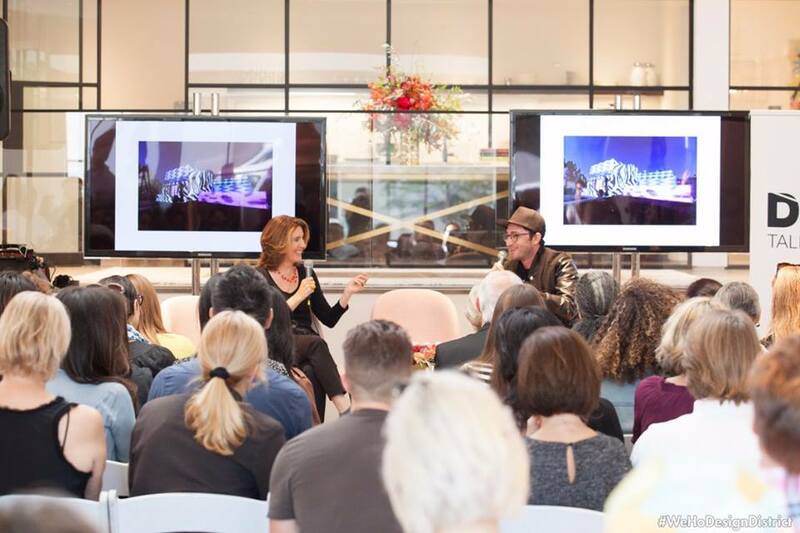 On November 11, DIEM: TALKS DESIGN, Co-Everything kicked off at showrooms across the West Hollywood Design District. Panels offered compelling and timely discussions featuring speakers with unique perspectives and experiences within the fields of design, art, fashion, architecture and more. DIEM started off with talk 1 “Co-mmunication – A Conversation With Eric Buterbaugh About Creative Branding” at Poltrona Frau, followed by “Co-Working: The Pros and Cons of Sharing a Work Space” with Eckhaus Latta, Ashley Sumner, Lauren Urband and Ava Bromberg at Luxury Living. “Co-mmunity: Stores from the Frontlines of Social Media” featured four tweens sharing what’s hot in networking with Mallery Roberts Morgan and Michelle Plantan at B&B Italia. After a Co-ffee break at Snaidero, talk 4 “Co-mmerce: Is LA Art an Industry, Yet?” took place at The Rug Company with Bettina Korek, Rosamund Felsen, Alberto Cuadros and Aaron Axelrod. Panel 5 “Co-nnection: Collective Experience through Programming” included speakers Patrick Shearn, Chris Danton, Liza Cantu, Mark Rios and Anderw Stevens at Woven. The final DIEM panel “Co-llaboration: Making Shelter Magic: War Stories From The Field With Mayer Rus And Michael Reynolds” rolled into the closing night party at Design Within Reach.